Multi-Sited Ethnography has established itself as a fully-fledged research method among anthropologists and sociologists in recent years. 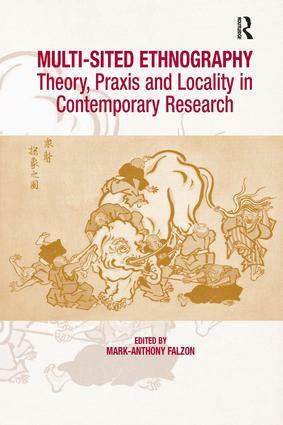 It responds to the challenge of combining multi-sited work with the need for in-depth analysis, allowing for a more considered study of social worlds. This volume utilizes cutting-edge research from a number of renowned scholars and empirical experiences, to present theoretical and practical facets charting the development and direction of new research into social phenomena. Owing to its clear contribution to a rapidly emerging field, Multi-Sited Ethnography will appeal to anyone studying social actors, including scholars within human geography, anthropology, sociology and development and migration studies. Mark-Anthony Falzon is a Lecturer in Social Science at the University of Malta and a Life Member of Clare Hall, Cambridge.